Daily cut off for expedited deliveries is 3:00 PM Central. © 2019 , Medical Supplies Depot. 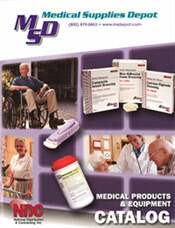 "Medical Supplies Depot" and the "MSD" logo are service marks of Medical Supplies Depot. Product names and/or logos displayed on this website are for identification purposes and may be service marks, trademarks and/or other intellectual property of their respective companies.